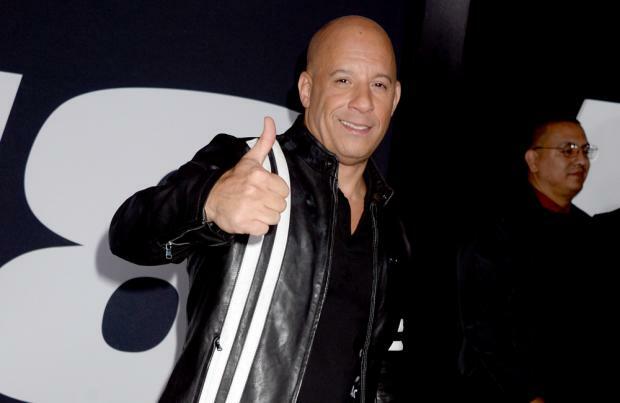 Vin Diesel is working on a female-driven spin-off of the 'Fast and Furious' franchise based on the work of three major writers. The 51-year-old actor and his producing partner Samantha Vincent are currently in the midst of developing the project, and Vin has revealed via his Instagram account that they've joined forces with writers Nicole Perlman, Lindsey Beer and Geneva Robertson-Dworet. Alongside a selfie of himself and Samantha, Vin wrote: "As you know, there are three new spin offs that We have promised Universal... well this week we heard a pitch for the Fast female protagonist driven spinoff I created in 2017, and you can tell by the smile on Samantha's face it was VERY exciting. Shout out to Nicole Perlman, Lindsey Beer, Geneva Robertson-Dworet. Welcome to the Fast FAMILY..."
However, at this stage, it's not clear whether all three will be free to co-write the script together or whether, ultimately, just one of them will receive a writing credit. Meanwhile, Michelle Rodriguez – who stars as Letty Ortiz in the film franchise – previously hit out at the tone of the movies, accusing the Fast and Furious' films of being "stuck in the 90s". She explained: "Letty's a strong woman. "She's a kid who grew up with a socio-economic background that makes you a little bit rough around the edges, I guess. I knew girls like Letty growing up. They're attracted and loyal to guys like Dominic Toretto because it's the only way to survive in a place that gets violent – Chicago, New York, Los Angeles. "When people are poor, there's a lot of crime and when there's lots of crime, you have to watch your back. "It gets physical and that's why it seems like we've been stuck in the '90s for the last [however] many years that we've been doing the franchise, because of the macho bravado involved, but that truly is the voice of the urban ghetto. I was hoping that at some point we'd evolve out of that vibe."